Very rarely in recent times, have leaders been inspiring. 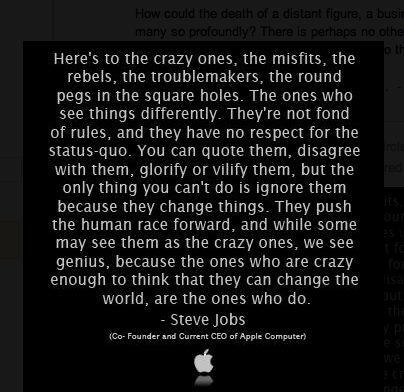 Heres to one such creative genius who showed us the true meaning of being different. Of being innovative. And of being the Best. Rest in Peace Mr Steve Jobs. Thank you for delighting our lives. ~ by Pooja Shean on October 6, 2011.